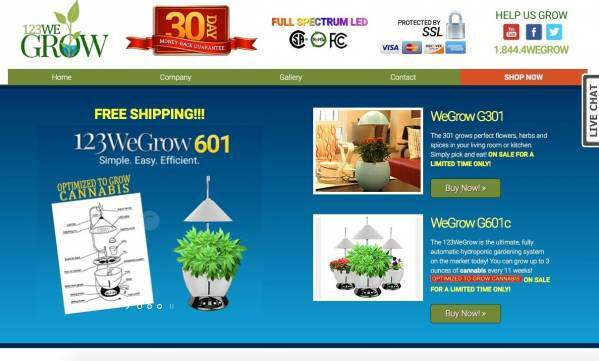 123WeGrow is the ultimate, fully automatic, hydroponic gardening system. We recently introduced a new line of self contained hydroponic gardening systems called the “123WeGrow”. The 123WeGrow is the ultimate, fully automatic, hydroponic gardening system on the market today. It has full spectrum, high efficiency LED grow lights and it works to grow all kinds of flowers, vegetables, fruits and herbs (even cannabis). The whole planting process is automatic, clean, no mess, safe and eco friendly. It’s a great feeling watching your plants grow, a good educational opportunity as well as a functional and beautiful addition to your kitchen.